Call of Duty Jeep Edition? …or maybe it’s Jeep Wrangler Call of Duty Edition? Actually it’s the latter, according to the Wall St Journal. Since the Wrangler is featured in the upcoming Call of Duty: Black Ops Chystler is releasing a limited edition Jeep to celebrate. The Wrangler will also be the “Hero” vehicle in the Call of Duty: Black Ops video game due out next month. To celebrate, Jeep will produce a limited-edition Call of Duty Jeep. No details (and sadly no pictures) of this Limited Edition Jeep Wrangler have been release. If they were going for most expensive and ridiculous limited edition ever then they’re certainly taking the cake with this one. Here’s hoping they at least “bundle” a copy of the game with the Jeep, preferably the Prestige edition. Modern Warfar 2 Veteran Edition for the US? I recently received a link from Scott Williams showing that Barns & Nobel has a listing for a “Veteran Statue Bundle” of Modern Warfare 2. 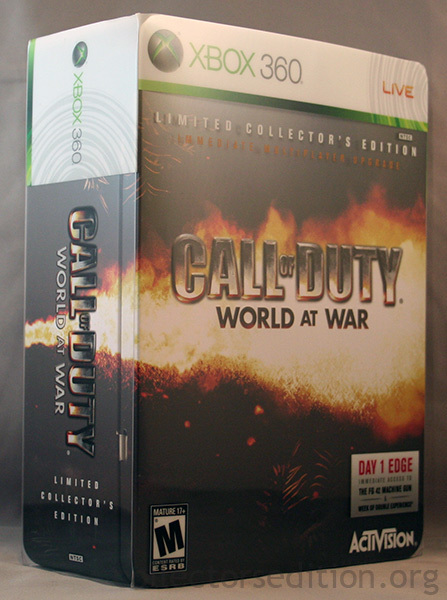 Previously it was thought that the “Veteran Edition” of Modern Warfare 2 was exclusive to the UK. It’s unclear if this listing is for a North American version of that edition or if they’re simply selling the Game and the Limited Edition Statue as a package deal. 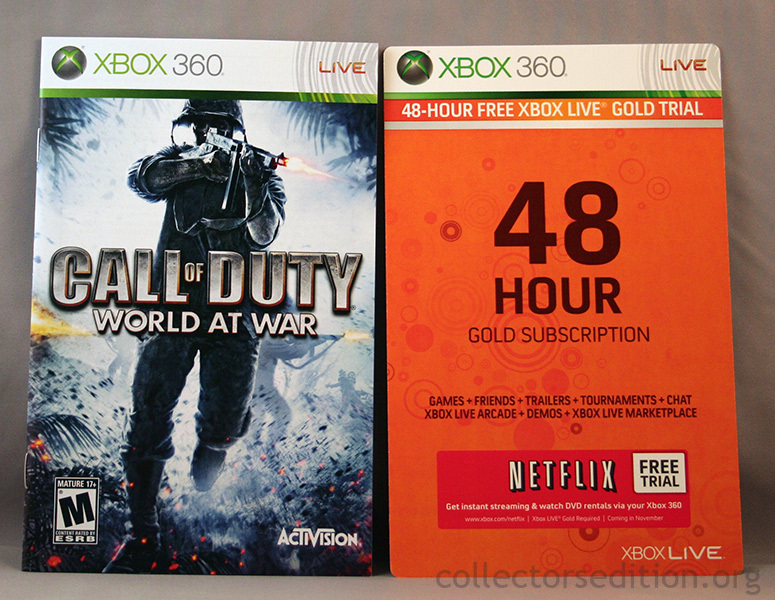 B&N lists the bundle for the Xbox 360, Playstation 3, and PC. Most interestingly is that it lists the seller as “GameStop” implying that they are selling through the Barns & Noble website, yet there is no mention of this bundle on GameStop’s own website. If anyone has any addition info on this release please leave a comment. Extremely limited quantities so even I’ll be lucky to get one. 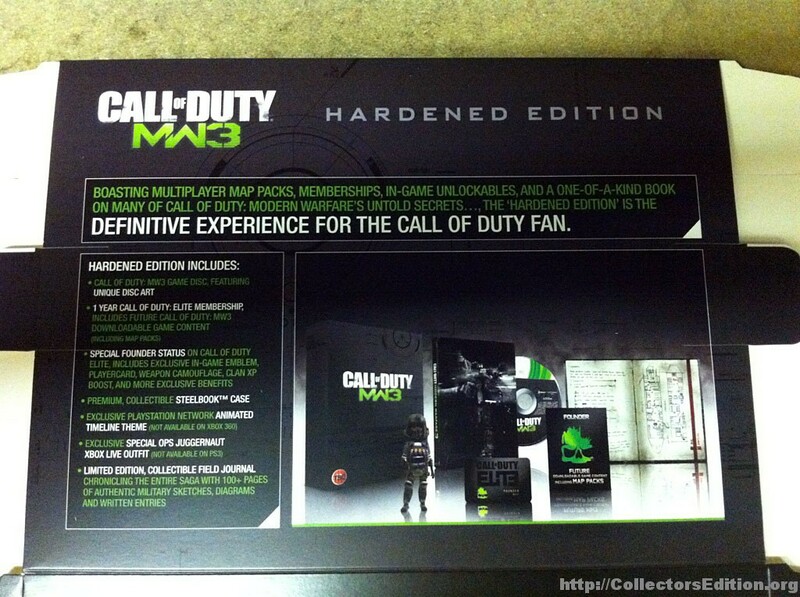 The Veteran Edition will run you £119.99 and be released along the other versions of the game. 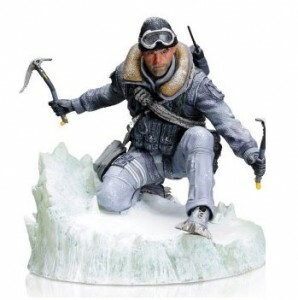 In the US the closes you will be able to get to this is to buy the Statue alone for $79.99. 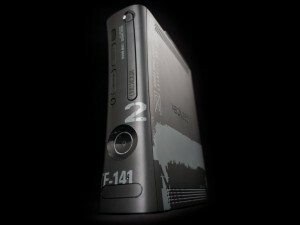 Microsoft Corp. and Activision Publishing, Inc. today brandished the latest weapon to help gamers take to the battlefields for the global launch of the year with the announcement of the Xbox 360 Modern Warfare 2 Limited Edition Console. Infinity Ward’s “Modern Warfare 2,” the blockbuster sequel to the best-selling first-person action game in history, “Call of Duty® 4: Modern Warfare®,” was the inspiration for the console’s high-speed, low-drag, battle-ready design, which is available for pre-order today at U.S. retailers and in other regions later this week. Beginning with “Call of Duty: Modern Warfare 2’s” worldwide release on Nov. 10, fans can arm themselves with Xbox 360 Modern Warfare 2 Limited Edition Console, which features an exclusive design inspired by the epic thriller, more storage space than ever before in a 250GB Hard Drive, two Xbox 360 Wireless Controllers, as well as an Xbox 360 Headset and a Standard Edition copy of “Modern Warfare 2” for an estimated retail price of $399.99 (USD). The Xbox 360 Modern Warfare 2 Limited Edition Console was revealed at an exclusive preview event in Los Angeles where guests were the first to experience “Modern Warfare 2” multiplayer gameplay on Xbox LIVE. Xbox 360 Modern Warfare 2 Limited Edition Console, will be sold in Europe, the Middle East (UAE, Saudi Arabia), UK, US, Canada, Mexico, Colombia, Chile, Australia and New Zealand. On Nov. 10, Activision Publishing, Inc. will release Infinity Ward’s “Call of Duty: Modern Warfare 2.” The title continues the gripping and heart-racing action as players face off against a new threat dedicated to bringing the world to the brink of collapse. “Modern Warfare 2” is rated “M” (Mature – Blood, Drug Reference, Intense Violence and Language) by the ESRB. 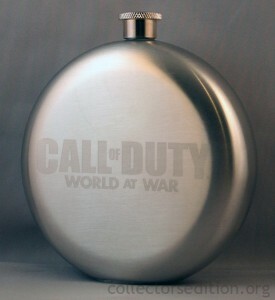 For more information, visit www.modernwafare2.com or http://www.xbox.com/en-US/games/c/callofdutymodernwarfare2/. Most of you probably know at this point, but for those of you who haven’t Activision’s upcoming Call of Duty: Modern Warfare 2 will come in 3 different trims. Regular Edition: The game in a plastic case, you know the drill. Retails in the US for the standard $60 but European buyer are stuffed paying a hefty £55. Prestige Edition: Taking it’s name from the multiplayer ranking system of the previous modern warfare game, this edition includes everything that’s in the Hardened Edition but comes in a larger cardboard box with a set of functional Night Vision Goggles capable of seeing up ot 50ft in the dark, as well as a mannequin head stand to hold them. This at about $150 for US gamers and £120 for European gamers. All 3 editions will arrive on the Xbox 360, Playstation 3 and PC in the US and across Europe on November 10th. I picked up Call of Duty: World at War Limited Collector’s Edition today. I must say that it has the nicest case of any Call of Duty game released thus far (though the actual Bonuses for COD4 were much better). 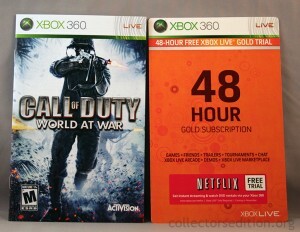 Interesting though is that this game included the previously rumored Netflix/XBL Gold trial code.